The speech language and reading professionals travel to your Brooklyn, Manhattan, Queens, Staten Island, and Long Island (Nassau & Sulffolk) or child’s school. Please note that we only travel to you and, in addition, also make house calls. HOURS: Mondays through Fridays, some Sundays. By Appointment. LOCATION: Office: 406 7th Ave in Park Slope, Brooklyn and your Brooklyn home. PAYMENT: Private Pay, Out-of-Network, Sliding Scale. TYPE OF SERVICES: Individual therapy, parent consultations, family sessions. PAYMENT: Private Pay, Sliding Scale, Out-of-Network. LOCATION: Dr. Whitman works with you to determine if an office or home based evaluation is best for your child. If office-based work is preferred, the evaluation will be completed in Dr. Whitman’s office at One Grand Central Place, 305 Madison Avenue in Manhattan. 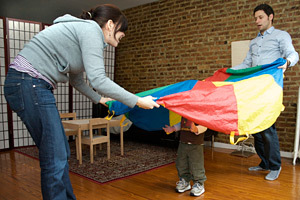 If a home-based evaluation is appropriate, Dr. Whitman will evaluate your child in your Brooklyn or Manhattan home. TYPE OF SERVICES: Neuropsychological and psychoeducational evaluations for children and adolescents. Dr. Whitman also conducts neuropsychological evaluations with adult populations presenting with cognitive concerns related to possible ADHD, intellectual disability, traumatic brain injury, memory disorder, or dementia. She is also certified coach for Cogmed, a computer-based attention and working memory training program. AGES: 4 years of age through adulthood. PAYMENT: Private Pay. Cash, check, or credit card accepted. Payment plans available.